Next postSaturday the day for shopping…..
Now that is good, really good! I’ve scrolled up and down and can’t decide which of your images today is the most stunning. They are all so intensely atmospheric: you can feel the deep silence of the mist and the damp air. So beautiful. Good….. grief!!! nothing like as iced over once the sun was up down here…. This is on the top of the hill near our house. It always looks too flat for me . Other hilly bits get in the way so you really cant get the distance! 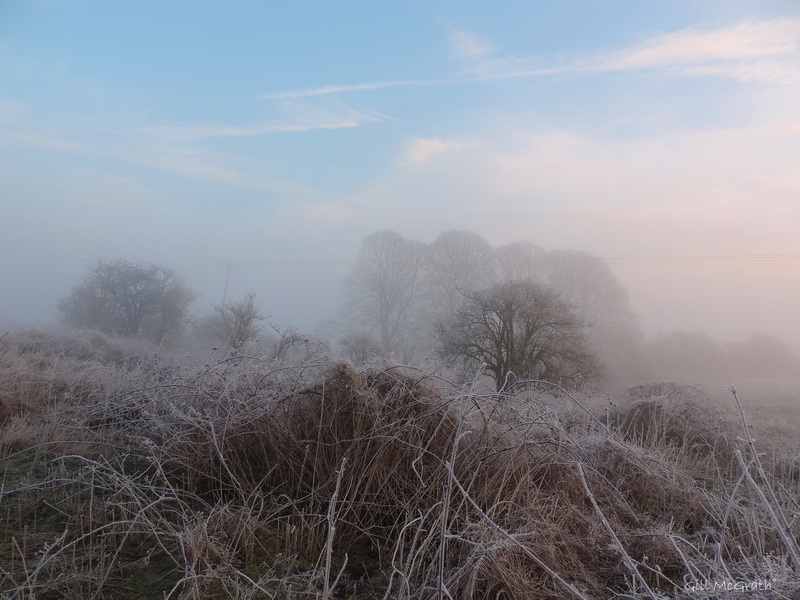 The land takes a bit of a whacking in frost just here. I nearly froze to death by the way! I stayed out far too long.